Well most of you already know that Willie Nelson and I have been friends for awhile now. Not only is he one of my favorite musical artists, but Willie is every cannabis activists hero, including mine. Over the years Willie has been supportive of my efforts to legalize marijuana here in Oregon. 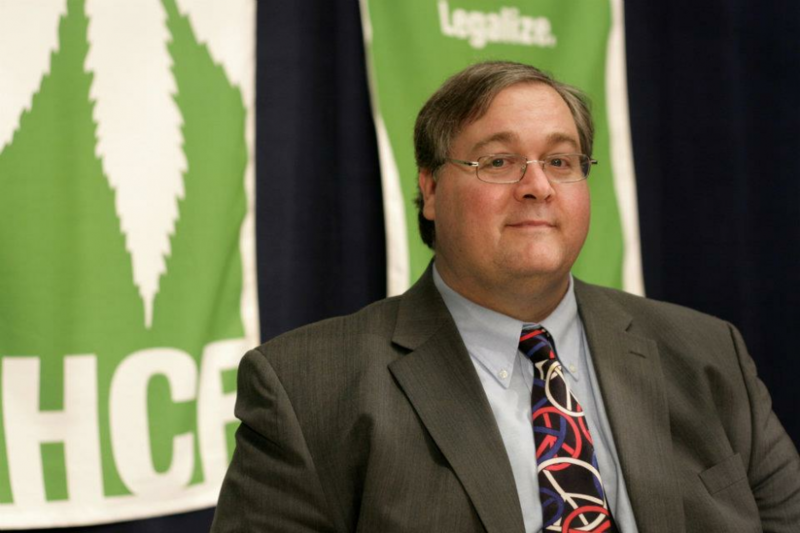 He has done promo pieces for us and the Oregon Cannabis Tax Act campaign. I am grateful to Willie for his activism over the years and his support. A good story about how forty-eight Wisconsin medical marijuana patients this year got their Oregon medicinal cannabis authorizations at the annual Great Midwest Marijuana Harvest Fest. The authorizations were issued by our THCF Medical Clinics at the Harvest Fest as part of The Ben Masel Project. Masel was a famous Yippie activist based in Madison who started the Great Midwest Marijuana Harvest Fest; he died suddenly from cancer three and a half years ago. The Oregon permit has saved several people in Wisconsin from arrest. The fact that Oregon issues permits to out-of-state patients has been helpful to those in Wisconsin and other non-MMJ states. This is a video of me speaking about Measure 91, The Control, Regulation, and Taxation of Marijuana and Industrial Hemp Act. I fully supported this effort and was very glad to see it pass here in Oregon. While marijuana and hemp may now be legal in Oregon, there’s still alot of work to be done to make sure the law is not changed by the Oregon State Legislature and is implemented correctly. You can be assured that I will be closely working with the Oregon activists to make sure this new law goes into effect as we originally intended it. Well, as you can imagine I was very happy with Hempstalk finally getting our permit from the City of Portland after alot of hard work and headaches, so officially it’s a go for the 10th annual Portland Hempstalk Festival. After months of delay, city officials have finally issued a permit for this weekend’s event. I always look forward to this world class event and hope that people can appreciate all the hard work that goes into organizing it. I want to especially thank all the volunteers that make Hempstalk possible. September 8th, 2014 – Oregonlive.com: Can Portland’s Hempstalk festival pull off a marijuana-free event at Tom McCall Waterfront Park? Another good article about the Portland Hempstalk Festival. We are still waiting for the final signatures from the city to hold our two-day event scheduled for late September at Portland’s Tom McCall Waterfront Park. The free event is a celebration of all the uses of marijuana and hemp, for both recreational and industrial uses. This year marks the 10th anniversary of Hempstalk, and our plan is to have a signature celebration at Portland’s most iconic public gathering spot. This is a good story about Portland preparing to host three marijuana events next month, including an international industry conference and competing hemp festivals. As far as I’m concerned the more events the merrier! I support any and all events that will help legalize marijuana, cannabis and hemp. Many times my company THCF is a main sponsor at these types of events and we are proud to do so. A good video of me talking about legalizing marijuana in Oregon that was on KGW News. I always love talking with the mainstream news media to get our messages out. It’s good to not always “preach to the choir”, even though the “choir” in this case is the community that I’m part of and love very much.